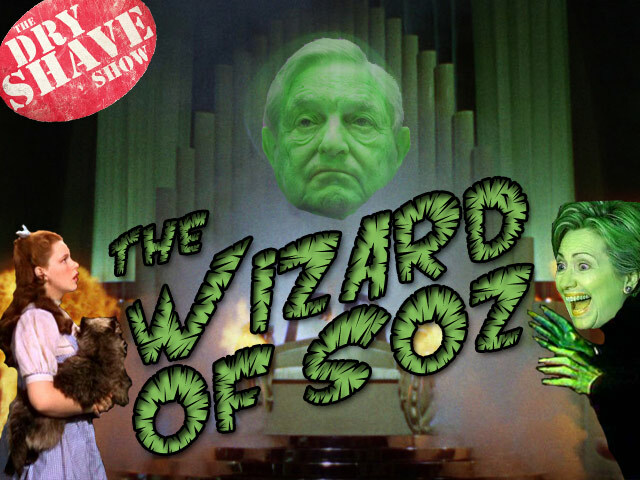 Ivan and Byron think it’s about time Hollywood made a rerun of the Wizard of Oz and give their casting suggestions, starring George Soros. They also talk about the DC leaks about Soros’ Open Society Foundation’s nefarious deeds, Byron’s new London-friendly comedy act, and This Week in History leads to #NotAllReptiles. Also: Hillary Clinton hates Breitbart News, Thailand jails Facebook meme-makers, Egyptian TV suspends fat female news personalities, and Alice Cooper wants your vote to put Lemmy on Mount Rushmore.